Contrary to all expectations, the morning has dawned fairly bright and sunny. 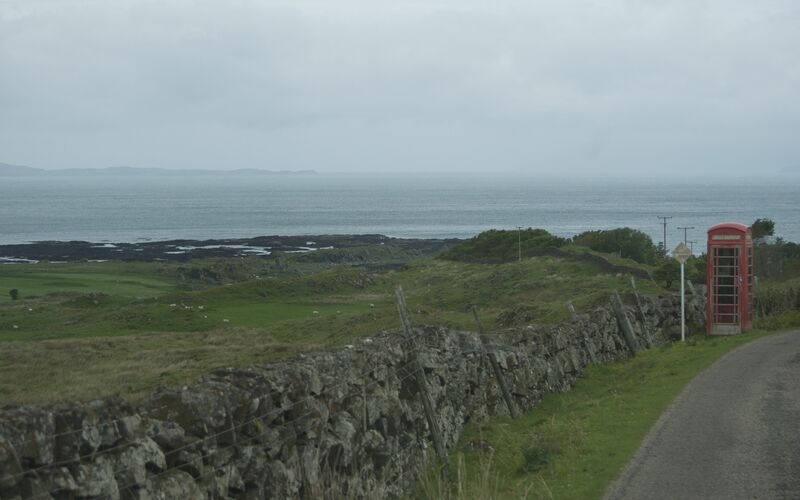 This is our last day on the Ardnamurchan peninsular and, after our usual visit to the Community Centre for a cake and internet, we decided to take Bessie up some more impossibly narrow roads and head north to see more of the coast. The scenery is more of the same but somehow you never get bored with it and the young animals seem to be getting that spring-like feeling – despite the cold. 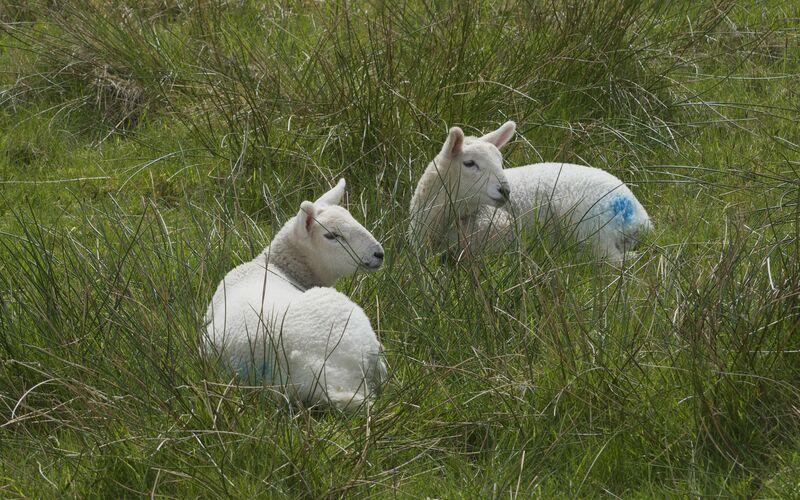 We watched these two lambs for quite some time. The bigger one was just spoiling for a fight and was goading the smaller one until she took fright and ran off. 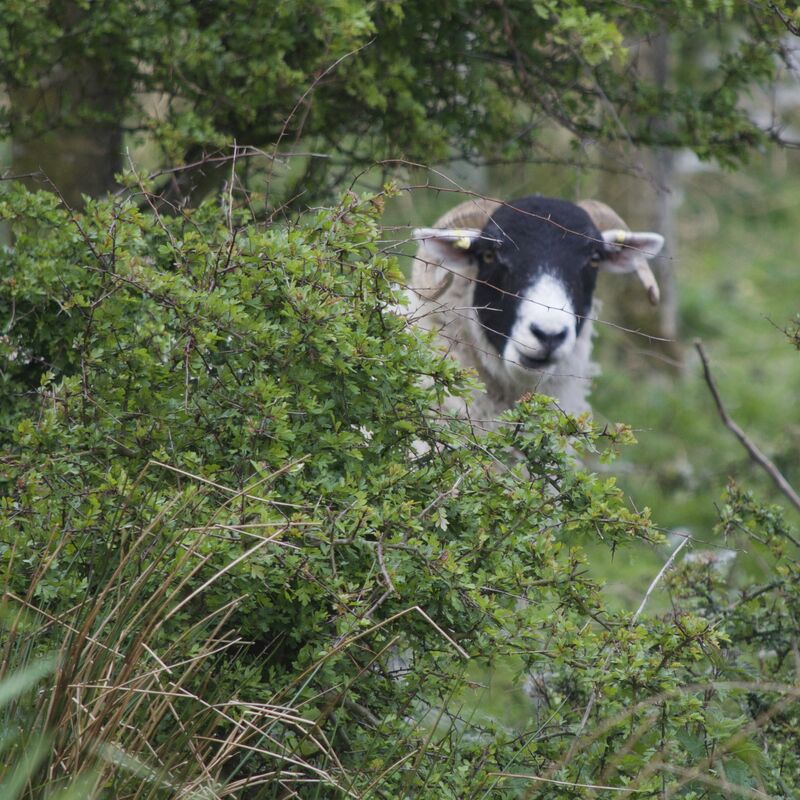 Meanwhile Mum was keeping a watchful eye on proceedings from the safety of a bush. 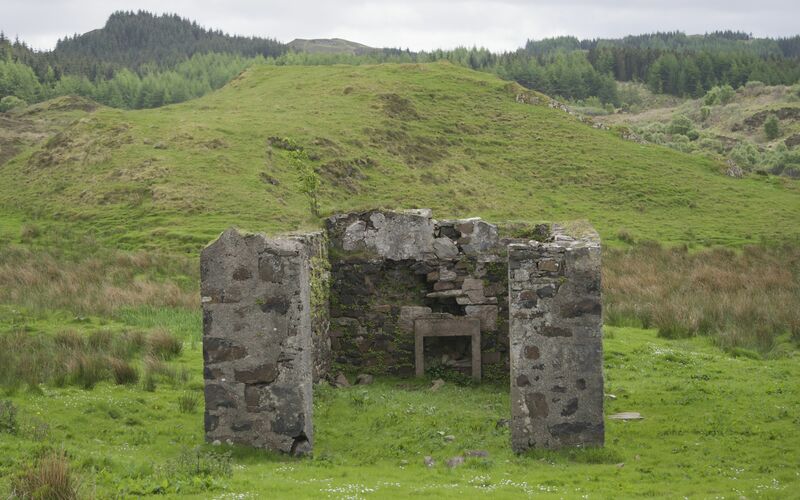 This must be one of the loneliest telephone boxes in Scotland – I can’t imagine it gets used much. Mind you, the lack of a mobile signal in these parts might mean it’s invaluable. 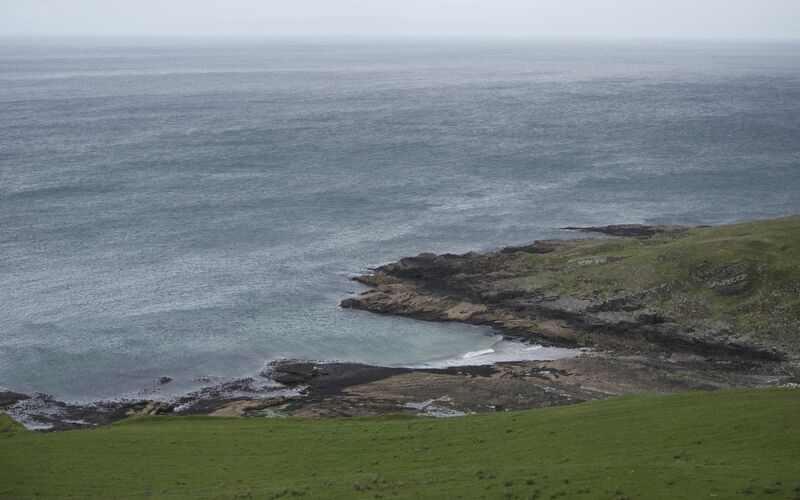 The coastline is rugged and you can use your imagination about high up the road is from this photo. 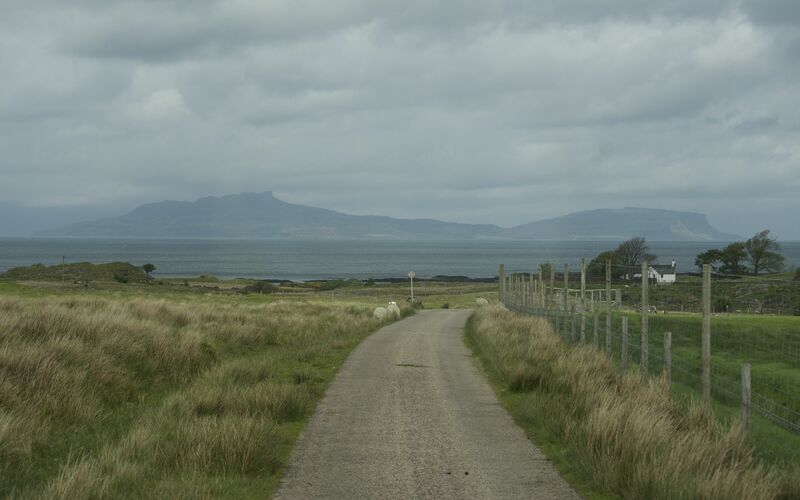 Although we are quite some considerable distance away, the outline of the Cuillins of Skye dominate the horizon. 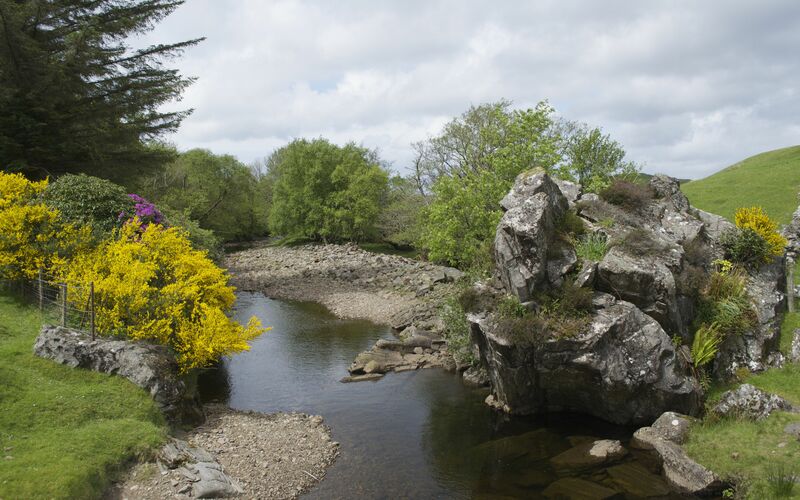 We eventually ran out of road at a little settlement called Ockle but were impressed with this wonderfully colourful scene by a delightful burn. I wonder when this humble dwelling became a ruin? 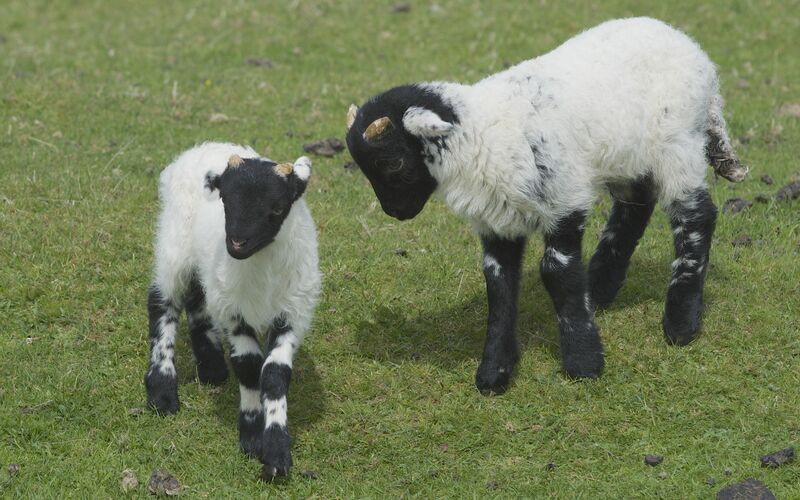 Last but not the least (let alone the last) another picture of lambs – this time together in harmony. The rain came in with a vengeance as we made our way back to the campsite, and looks set in for the night. How wonderful to hear on the radio that the south of England has experienced its hottest day so far! This is our last full day on Ardnamurchan and it has been very pleasant – especially when we have managed to avoid the worst excesses of the weather. Unfortunately, according to the weather forecast there is more to come. Just hope we can catch the ferry to Tobermory tomorrow before it starts! Tonight is fish and chip night at the local hotel. They do takeaways as well – brilliant! Last but not least, and back by popular demand (thanks Sean!) 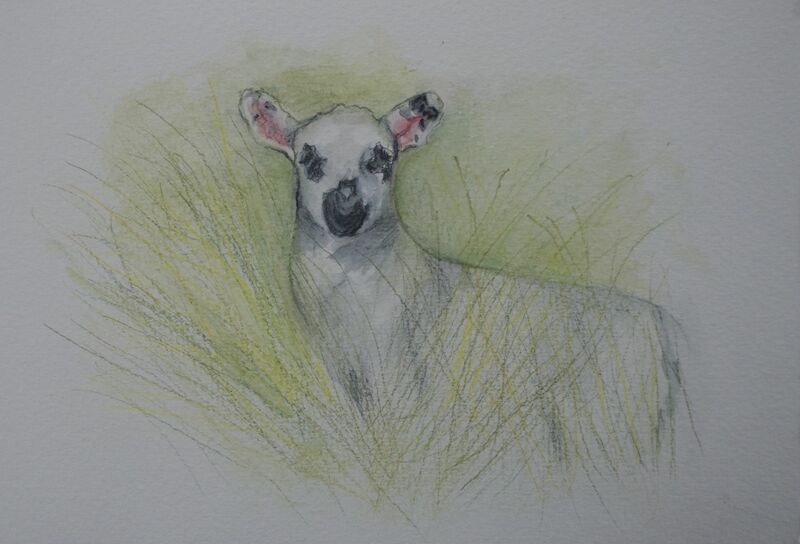 a watercolour done this afternoon of my favourite lamb so far. That’s speedy work – publishing the blog before the day has ended. 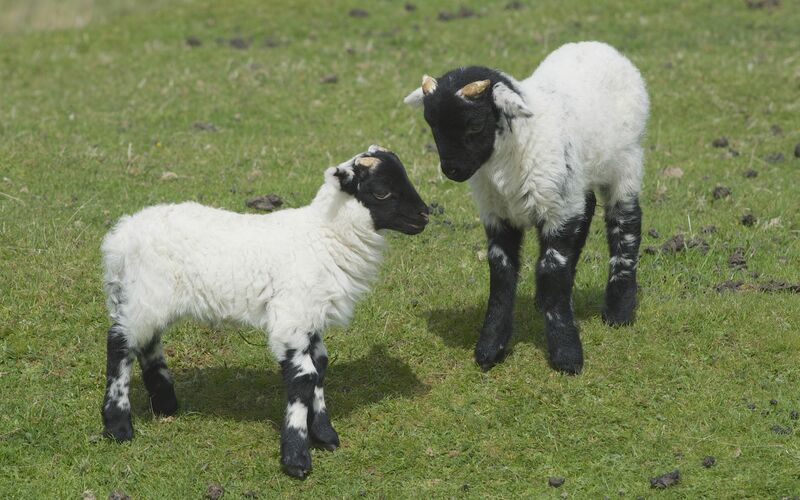 I love all the lambs. Just to rub it in, it has been very warm and sunny here today. Gee thanks Sally! Pouring here but we’ve found some wifi on the coast road out of Tobermory so should be able to post blogs from here. Is this the earliest posted blog? Are the fish and chips calling you? 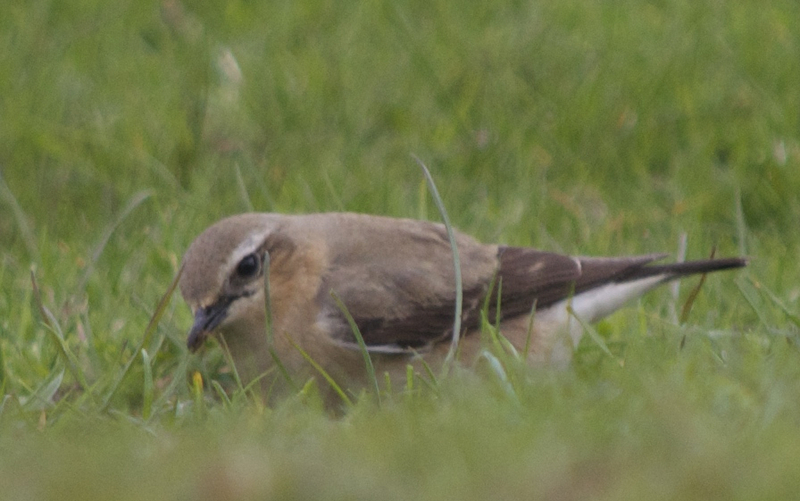 Nice capture of the Wheatear, is that another first? No sign of a Golden Eagle yet. I think the watercolour is my favourite image of a lamb, so far! Thought we should take advantage of the wifi while we still could! 3 dongle seems to be working on Mull so should be able to keep it up – hopefully! Yet again an amazing painting! 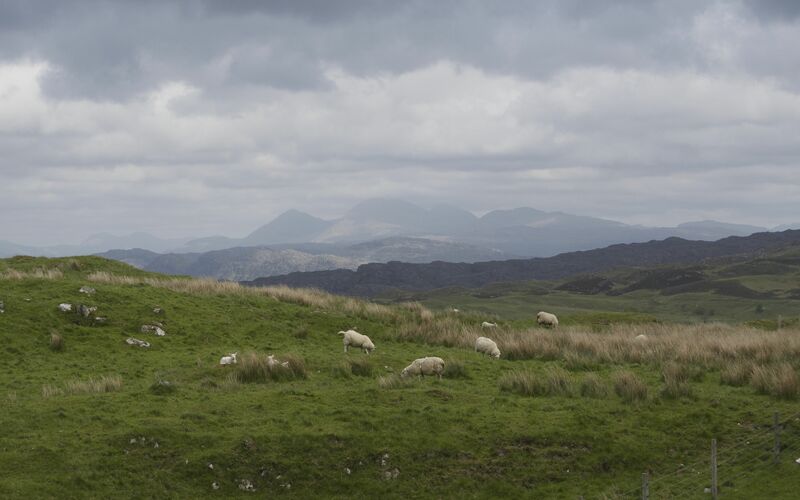 What do these sheep get up to? 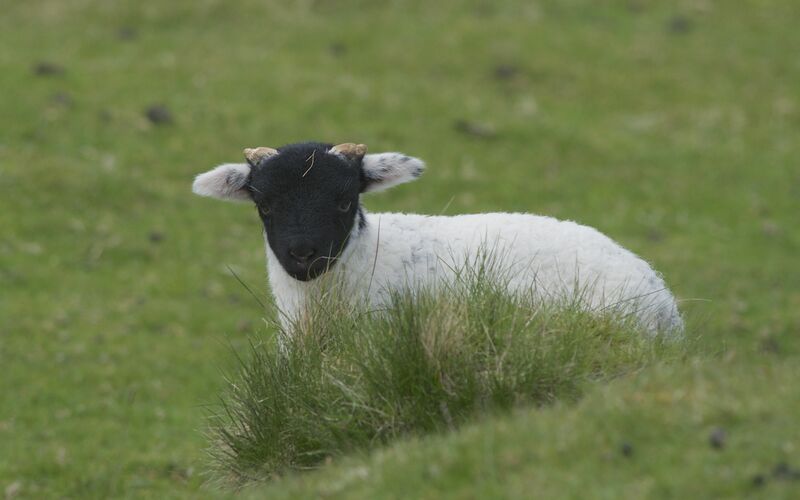 Marathon sheep yesterday and now Mother Sheep looks like she could be a spy!